For anyone who relies on protein bars as an afternoon or after workout snack, they should be warned about nonmilitary friendly ingredients in their all-natural selections. 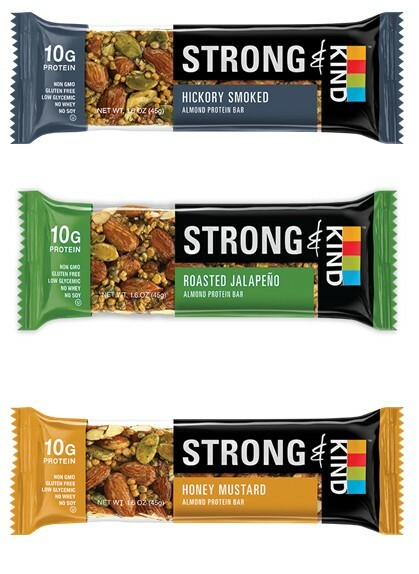 "Strong & Kind" bars which include Hickory Smoked, Roasted Jalapeno, Honey Mustard, Thai Sweet Chili, and Honey Smoked BBQ, contain hemp seeds in their ingredients. These seeds may contain low levels of tetrahydrocannabinol, a chemical found in marijuana, which the Army believes may be detectable in drug screening tests. This ingredient is not included the Kind fruit and nut bars and a complete list can be found at www.kindsnacks.com. The Army's position on the consumption of hemp seeds, or its derivatives, is similar to its sister services and follows laws and guidelines set forth by U.S. law enforcement agencies. Army Regulation 600-85 para 4-2, (p) states that, "…Soldiers are prohibited from using Hemp or products containing Hemp oil." And the "…Violations of paragraph 4-2 (p) may subject offenders to punishment under the Uniform Code of Military Justice and or administrative action." In part, the ruling reads: "Specifically, the interim rule exempted THC- containing industrial products, processed plant materials used to make such products, and animal feed mixtures, provided they are not used, or intended for use, for human consumption and therefore cannot cause THC to enter the human body. (http://www.deadiversion.usdoj.gov/fed_regs/rules/2003/fr0321.htm)"
As such, the Army has written its policy to adhere to and to enforce these laws. The bottom line-Soldiers may not consume hemp seeds or hemp oil. According to University of California at Berkeley, most of the THC found in hemp seeds are located in the seed hulls, which are removed during processing. Today's hemp seeds are processed to reduce levels of THC to negligible quantities but 15 years ago industrial hemp had higher THC levels and the seeds were prepared differently for processing. The school's wellness site also said that companies producing hemp today do so under a voluntary TestPledge program, indicating they follow quality control practices to limit THC concentrations, so that consumers will not fail a drug test. "There is a lot of data out there that says the amounts of THC in hemp seeds is negligible unless someone eats over 300 grams, which would be about two-thirds pound of hemp seeds," he noted. "And hemp seeds are a healthy source of protein with negligible traces of THC (also) hemp has cannabidiol oil which is what researchers are now using for epilepsy." However, Capt. (Dr.) Christopher DiPiro at Ireland Army Community Hospital, said while there are very low amounts of THC in hemp seeds and although most people will not test positive after consuming the seeds, studies have shown 20 percent of those tested might pop hot after eating them. He added that consuming hemp seeds is not harmful beyond the possibility of a failing a drug test. Businesses dealing with DOD must be aware of requirements like AR 600-85 para 4-2, (p). 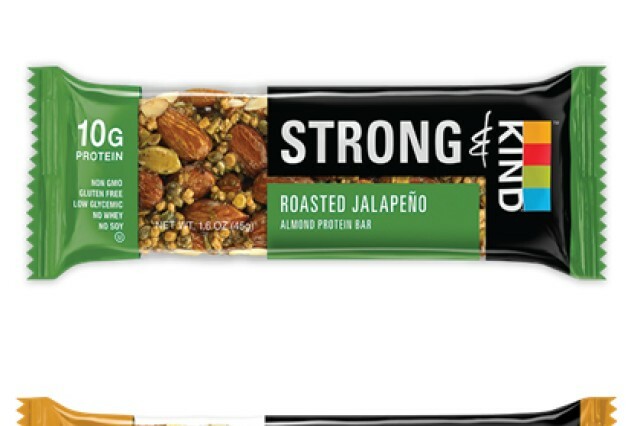 Because of this regulation, AAFES does not carry "Strong and Kind" bars, said Chris Ward, a public relations specialist for AAFES, but they do carry the basic "Kind Bars." And DeCA public affairs specialist Rick Brink added that while, commissaries carry Kind Bars, they have also chosen not to carry Kind & Strong bars because of the hemp seed content. "We strive to ensure products do not conflict with published DOD guidance," Ward explained. Kind snack bars were created out of a "Kind need," after the president and CEO, Daniel Lubetzky, was tired of working long days and not being able to eat healthy during those times. In his new book, Lubetzky said he wanted something that was, "a wholesome snack option that could travel well, fill me up, and that tasted good," and whose ingredients he understood. He wrote that he wanted a business that was profitable and served a social goal, "our mission of spreading kindness," a concept that came from one experience during World War II. "My father, who survived the Dachau concentration camp during the Holocaust, told me of a time when a Nazi guard took risks by throwing him a rotten potato that provided him the sustenance he needed to go on," Lubetzky wrote. "Although that soldier could have gotten in trouble for helping a Jewish prisoner, he acted with compassion in the darkest of moments. My dad always credited the guard's action with helping him to stay alive." He explained as the company founders brainstormed their brand name and mission, they settled on a concept that could affirm their, "three anchors of health, taste, and social responsibility: being KIND to your body, KIND to your taste buds, and KIND to your world." "Hemp seeds contribute protein, fiber and other important nutrients such as potassium and phosphorus to our Strong & KIND bars," he explained. "Hemp, when combined with the protein from almonds, peas and pumpkin seeds, provide all nine essential amino acids." "Our Strong & KIND bars adhere to USDA testing and have a THC level of .001 percent. As referenced by the Congressional Research Service, a level of about 1 percent THC is considered the threshold for cannabis to have a psychotropic effect or an intoxicating potential," Cohen said. However, the bottom line is--military guidance says the consumption of hemp products is off limits, and as such military personnel and DOD civilians are prohibited from eating such foods.